Feiwel & Friends, 9780312569037, 304pp. 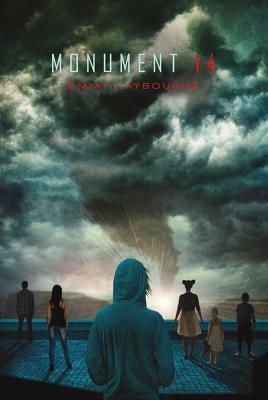 In Emmy Laybourne's action-packed debut novel, six high school kids (some popular, some not), two eighth graders (one a tech genius), and six little kids trapped together in a chain superstore build a refuge for themselves inside. While outside, a series of escalating disasters, beginning with a monster hailstorm and ending with a chemical weapons spill, seems to be tearing the world—as they know it—apart. Your mother hollers that you're going to miss the bus. She can see it coming down the street. You don't stop and hug her and tell her you love her. You don't thank her for being a good, kind, patient mother. Of course not—you launch yourself down the stairs and make a run for the corner. Only, if it's the last time you'll ever see your mother, you sort of start to wish you'd stopped and did those things. Maybe even missed the bus.